Sepsis is a condition in which the body has a severe response to bacteria or other germs. It occurs when the chemicals released into the bloodstream to fight the infection trigger inflammation throughout the body. The inflammation can further trigger a cascade of changes that can harm multiple organ systems, causing them to fail. If the sepsis progresses to a septic shock, the blood pressure drops radically which may lead to death. Anyone can develop sepsis but it is most common and dangerous in elderly people or those who have a compromised immune system. Any type of infection can lead to Sepsis. 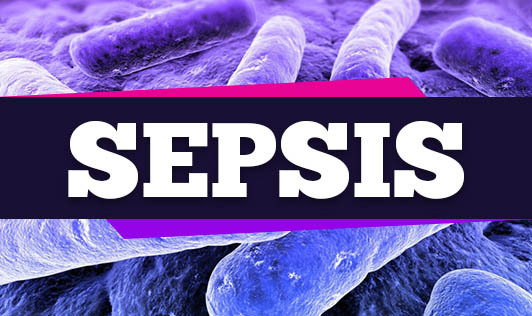 Doctors propose that sepsis is a three-stage syndrome that starts with sepsis and progresses through severe sepsis to septic shock. Doctors aim to treat sepsis during its mild stage before it becomes life-threatening. Septic shock- One must show signs and symptoms of severe sepsis including extremely low blood pressure that doesn't satisfactorily respond to simple fluid replacement. Sepsis often occurs in people who are hospitalized, such as people in the ICU who are vulnerable to developing infections. Seek medical help immediately if you develop signs and symptoms of sepsis after surgery, infection, or hospitalization.